As people grow older, they become more susceptible to accidents and injuries. As a natural part of the aging process, vision and hearing deteriorate, and reflexes and reaction times slow down, leading to an increase in injuries among the elderly. Aging individuals are also slower to recover from injuries. In fact, many never fully recover their capabilities. Slipping and falling results in almost a quarter million broken hips every year in this country. Every year more than a million elders are admitted to the emergency room for traumatic injuries, many of which were preventable and caused by the negligence, neglect or abuse of a third party. This article will discuss damages in elder or “golden years” injury cases as well as certain tips and strategies for effectively proving general damages, namely hedonic damages. The retirement years are a time in most people’s lives when they realize their own mortality, but also presumably enjoy more time for friends, family, hobbies, and other interests. 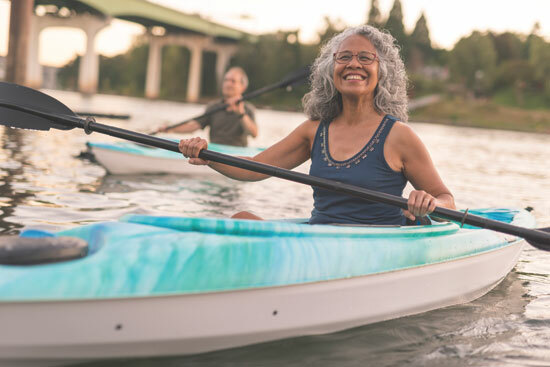 When someone who has always been physically active loses this ability in the future years, their enjoyment of retirement can be severely diminished or stripped away, with less opportunity to replace these activities with other interests in life. What may be a small loss of function to a younger person who is active in many other ways may present a larger loss to an older person whose activities are already constrained by age. After working most of their adult life, most elders look forward to, and are entitled to enjoy, their retirement. When a careless, reckless, or negligent individual takes away that mobility and health, elderly plaintiffs are entitled to be compensated commensurate with the suffering and disruption to their lives. That is where we come in. As attorney advocates for our elderly clients, it is extremely important for us to properly convey the value of our client’s loss during the golden years of retirement following an incident. In my opinion, it is hard to overstate the value of the last good years in life for an elder who was happy and healthy before a significant or catastrophic injury caused by a negligent third party. (3) Have a shorter life expectancy – meaning their future medical care needs are shortened too. Thus, in order to maximize an elder client’s recovery, it is, first, incumbent upon us to understand exactly how our client’s life was altered as a result of the incident. This way, we can more effectively tell our client’s story to the jury without omitting crucial details. Since you can expect in most elder cases that the majority of your client’s damages will be non-economic losses or general damages, you should focus on maximizing these losses. General damages include the following: physical pain, mental suffering, loss of enjoyment of life, disfigurement, physical impairment, inconvenience, grief, anxiety, humiliation, and emotional distress. (See CACI 3905A). Figuring out the value of an injured elder’s general damages claim is the most difficult part of valuing a case. This is true whether you are talking about settlement or going to trial. When discussing pain and suffering damages it is important to remember they are two separate things. Pain refers to the physical discomfort arising from a physical injury and suffering refers to the mental experience of the injured person. There is no chart, no graph, no table, or formula that a jury or attorney can look to for assistance in determining the value of a given elder client’s pain and suffering. As our Supreme Court stated, “[o]ne of the most difficult tasks imposed upon a jury in deciding a case involving personal injuries is to determine the amount of money the plaintiff is to be awarded as compensation for pain and suffering. No method is available to the jury by which it can objectively evaluate such damages, and no witness may express his subjective opinion on the matter.” (Beagle v. Vasold (1966) 65 Cal.2d 166, 172.) Every person, every claim, every injury, every incident is different and requires independent evaluation. Since the jury is given wide latitude in assessing general damages, it is imperative that we thoroughly understand the nature of the loss and suffering by the elderly plaintiff, and properly present the claim to the jury. At its core, that requires spending enough time with your elderly client and other witnesses to be able to tell the “before and after” – which, after all, is precisely what a general damages claim is all about. Testimony concerning your elder client’s injury – whether from the client, friends and family, or expert witnesses – will help fully explain your client’s general damages. In cases where an elderly client’s injury from a third party significantly disrupted their enjoyment of life, you want to emphasize that loss or claim during the litigation and trial. In California, a pain and suffering award may include compensation for the plaintiff’s loss of enjoyment of life. (CACI 3905A). Loss of enjoyment of life is only one component of a general damage award for pain and suffering. (Loth v. Truck-A-Way Corp. (1998) 60 Cal.App.4th 757, 763.) This component of general damages is commonly referred to as hedonic damages. Hedonic damages are usually considered to go beyond traditional pain and suffering or mental anguish damages. Pain and suffering damages traditionally compensate “for the physical discomfort and the emotional response to the sensation of pain caused by the injury itself; and mental anguish damages traditionally compensate for ‘shock, fright, emotional, upset, and/or humiliation’ caused by the tort. Hedonic damages by contrast, compensate for limitations ‘on the injured person’s ability to participate in and derive pleasure from the normal activities of daily life, or for the individual’s inability to pursue his talents, recreational interests, hobbies, or avocations.’” (60 Vanderbuilt Law Review. Vol. 3, 745, at 748 (April 2007)). California courts recognize the distinction between experiencing pain and suffering from the incident itself, and the subsequent suffering from a disability caused by an injury. For example, if your elder client loses the ability to walk independently after an incident, your client may not only lose his or her independence, but also his or her self-esteem, his or her ability to perform many personal care functions, and much of his or her social and leisure potential. This hedonic loss can be devastating for elders who were enjoying their “golden years” of retirement with independence and purpose when an injury caused by a third party took that away. To recover hedonic damages for your client, you must prove what your client’s life was like before the incident and what was taken away by the defendant’s negligence. In “golden years” cases with high value, you need to prove that your elder client was still living an independent and fulfilling life in order to get your elder client the compensation he or she deserves. During trial, show the jury visual evidence documenting the good life that your elder client was enjoying before it ended or declined from injury. Use photographs, videotapes, scrapbooks, home movies, cards, letters, etc. when your client, his or her family members and friends testify during trial. This evidence tends to elicit more of an emotional response from, and resonates with, most jurors. However, keep in mind that there is a fine line between putting on enough damages evidence in this regard and overselling your case to a jury. Nonetheless, it is crucial that you show the jury first-hand how your elder client lived and enjoyed a full life before the incident while you also put on evidence of your elder client’s present and expected future life. When putting on evidence of your elder client’s injuries and damages, I strongly suggest that you use medical illustrations or drawings that depict your client’s physical injuries. These illustrations should be in color, and in most cases, will show the injured part of your client’s body much more prominently than a grainy black and white X-ray, MRI, or CT scan. The illustrations that I have used in the past always include a separate illustration of a healthy or normal body part to compare to the depictions of your client’s injured body part(s). One of your client’s medical experts should authenticate the illustrations during his or her testimony and use them to describe your client’s injuries and limitations from those injuries. Showing an illustration to a jury can really help them understand why, for example, your client has chronic pain, can’t walk or talk, requires prolonged hospitalization, or can’t move an injured body in a certain direction. In essence, they can transform subjective evidence of your client’s pain, weaknesses and physical limitations into objective evidence in the jury’s eyes. Also, in significant injury cases, consider using a day-in-the-life video. This will also help a jury understand how your elder client lives his or her life now, and more importantly, how your elder client will likely live out his or her final years with significant physical limitations as a result of the incident. While testimony from good medical experts and family members is a must when proving the nature and extent of your client’s general damages, it is imperative that you do not overlook the significance or value of utilizing independent lay witnesses to help prove these damages. Lay witness testimony can be extremely powerful and impactful in many cases, and oftentimes will be the “tie breaker” for jurors when weighing competing, conflicting medical expert testimony from highly paid experts on opposite ends of the injury spectrum. Some studies show that jurors place more weight on testimony from credible lay witnesses who have personal knowledge of the plaintiff’s medical condition before and after a tragic incident than from medical doctors who have seen your client sparingly, if at all, as is the case with some defense experts. In order to find good lay witnesses, you will need to spend time speaking with your client and/or your client’s family about his or her daily life and interactions he or she has with other people. In essence, you want to find out how your client spends his or her time on a weekly basis, and who your client regularly encounters during the week. In most cases, your client can tell you who his or her closest friends and relatives are, and which one’s would be most willing to testify on his or her behalf. However, in many instances, your client will not know or be able to appreciate which witnesses will actually help his or her case at trial. As lawyers, it is our job to figure that out by interviewing as many potential witnesses as possible. Additionally, this exercise may help you weed-out the bad witnesses, if nothing else, before it’s too late. Obviously, you want articulate and credible witnesses who have sufficient personal knowledge that are willing and able to testify about your client’s changes or decline in health as a result of the subject incident. Sometimes, the best witnesses are not particularly close with your client, and instead, turn out to be neighbors, acquaintances or casual friends who share common experiences with your client or have unique or specialized knowledge, training or experience that make them more qualified to testify about certain aspects of your client’s injuries and damages than close family members. These are the “diamond in the rough” witnesses. Testimony from these witnesses is also more likely to be viewed as independent and unbiased than testimony offered by your elder client’s spouse, children or close friends who may have a stake in the outcome of the lawsuit. For example, I represented an 89-year-old man who suffered a severe hip fracture from an auto accident. Unfortunately, the trauma from the hip injury and resulting surgery and hospitalization left him permanently immobile and totally dependent on full-time nursing care. The defense treated the case like it was worth slightly more than the amount of my client’s past medical expenses. It claimed that my client had other preexisting, unrelated medical issues, and, in essence, was living on borrowed time. The defense team of experts (orthopedist, neurologist and life-care planner) collectively testified in their depositions that my client’s quality of life was essentially over before the incident, and my elder client was not independent or particularly mobile before the accident despite testimony from his wife and himself to the contrary. The defense experts completely disregarded the testimony of my client and his wife regarding his pre-incident mobility, independence, and quality of life. Instead, they based their opinions almost entirely on a handful of outdated medical records and speculation. Since my client did not have any kids, close family or good friends still living, it was difficult to find good witnesses (aside from his wife and medical doctors) to support his general damages, and more specifically, the hedonic component of his claim. Fortunately, my client had an ace-in-the hole: an independent witness with personal knowledge of my client’s mobility, independence and quality of life. The witness was a 94-year-old retired judge in good health, who happened to play golf with my client from time to time. Since he and my client were not close friends and they did not socialize outside the confines of the golf club, it took some time to locate and track down this witness. When this witness was finally deposed in the case after most of the defense experts already testified, he proffered testimony about how well my client played golf and walked the course independently in the weeks before the subject incident. This testimony directly contradicted all of the defendant’s damages experts. Additionally, this witness also testified about how enjoyable his life was well into his 90’s, asserting and subtly implying from his experience that my client could have enjoyed a similar fate but for his tragic accident. This powerful witness testimony was integral in getting the case settled for a reasonable amount. As such, never overlook or disregard the impact that independent lay witness testimony can have with the jury when you are attempting to prove an element or component of your elder client’s general damages. An award for general damages must fully compensate your elder client for the harm sustained. Your client is entitled to justice and what is fair and reasonable. If you are asking the jury or trier of fact to award your client a large number for general damages, discussing small numbers for special damages – like paid medical bills under Howell – can taint or undercut your client’s claim for a large general damages award. For example, if your client’s past (paid) medical bills are $10,000 or less, and his or her future medical expenses are similar or less, a jury might be reluctant to award your client general damages in the high six-figure or seven-figure range when comparing your proposed general damages numbers to the hard special damages that your client actually incurred. The defense lawyer will certainly point out the disparity or large gap between the special damages and the high number you are asking the jury to award for general damages. Since the special damages in a large number of elder injury cases are relatively low in comparison to other injury cases where the plaintiff may have a sizeable lost earning claim and significant future medical expenses extending over a long period of time, you and your elder client should consider waiving his or her special damages at trial – especially when you are asking for a disproportionately high award for general damages. This way, in cases with low special damages, you can singularly focus the jury on the pain, suffering (mental and physical), inconvenience and loss of enjoyment of life that your client sustained when you ask them to fully and fairly compensate your elder client. If you are fortunate enough to have a good or clear liability case, you can still expect a battle with most defense lawyers on causation and damages. A defense you can expect in many elder injury cases is that some or all of your client’s injuries were not caused by the incident, but rather, were caused by preexisting conditions. While it is true that your client will not be able to recover damages at trial from the defendant for “any physical or emotional condition that he/she had before the [subject defendant’s] conduct occurred” (CACI 3927), your client absolutely can recover damages (general and special) if that preexisting condition “was made worse” by the responsible defendant’s conduct. (CACI 3927). In fact, the law mandates that the jury or finder of fact must award damages that will reasonably and fairly compensate your client for the “effect on that condition.” (CACI 3927). If your client’s preexisting condition was made worse to some degree, however slight, by the defendant’s wrongful conduct, the defendant is responsible for compensating your client for the enhanced injury, suffering (mental and/or physical) and damages. In short, an injured person is entitled to be compensated for any aggravation of a preexisting condition, but not the preexisting condition itself. Usually, the aggravation doesn’t substantially change the physical nature of the preexisting condition right away, but rather, causes symptoms that require clinical intervention on multiple levels, including surgery. Some body parts, such as the spine, naturally change physically over time; but often, the person remains without any negative symptoms until a significant trauma occurs. The key factor with neck and back cases is whether the trauma caused enhanced pain and the need for clinical intervention. It is common in elder injury cases involving injuries to the back or neck for the defendant’s lawyers to have “hired gun” expert witness doctors, who make a living testifying for insurance company lawyers, conduct a records review and testify that all of the problems complained of are old, preexisting problems, and that all of the pain and clinical intervention following a trauma pre-existed the accident and is simply part of the “natural progression” of the degenerative process of the neck or back. It is our job as lawyers to convey to the jury what the enhanced loss or aggravation to the preexisting injury was and how it has affected or altered our client’s enjoyment of life. Testimony from good medical experts, including your client’s treating physician(s) is essential for combatting this defense attack and will also help educate the jury on how a preexisting condition (which is often pain-free or easily managed) was exacerbated or made worse by trauma from the incident. These experts should be able to articulate how your elder client’s medical condition changed or got worse as a result of the incident, and more importantly, why substantial medical care and treatment (past and future care) was or will be necessary as a result of the incident – not from the preexisting condition. For example, if your client had degenerative disc problems in his spine before an incident, but had no pain symptoms or neurological symptoms associated with his degenerative condition, it is unlikely that this condition is going to significantly affect or impact your client’s daily life in the future absent a traumatic event. However, if after a traumatic incident, your elder client develops severe back or neck pain and begins to experience neurological symptoms such as numbness, weakness, and radiating pain, these new symptoms and the medical care required to address them, is compensable to your elder client by the responsible party. By acknowledging a preexisting condition (in cases where they exist) and explaining to a jury why it made your elder client more susceptible to injury, and that the injury and pain only started after the subject incident, you embrace this condition and defuse the defense argument that your elder client is seeking compensation for an injury he or she already had in the past. Preexisting weaknesses or medical conditions bearing on the injury or same body part injured in the incident should be fully disclosed and explained in the early stages of litigation up through trial. Since there is very little dispute that elderly plaintiffs are more susceptible to injuries than their younger counterparts, you should not shy away from addressing preexisting conditions and explain (with expert medical testimony) how your elder client was unusually susceptible to injury at the time of the incident. You can turn the defense argument on its head. To do that, you should use and rely on CACI Jury Instruction No. 3927 (Aggravation of a Preexisting Condition) and CACI Jury Instruction No. 3928 (Unusually Susceptible Plaintiff) when explaining your client’s enhanced injuries during closing argument. These instructions can work really well together in elder injury cases. Under these sections of the code, there is no set criteria or specific proof required to obtain a trial continuance for a plaintiff over 70 years of age, but good practice and precedent suggest that you make a factual showing, preferably with medical documentation from your client’s medical doctor(s), that your client would be prejudiced if a trial continuance is not granted. If the court grants your client’s motion for a trial preference, the court shall set the case for trial within 120 days from the date the court grants the motion. (See Code Civ. Proc. § 36 (f).) Additionally, if the motion for preference is granted, each party shall be limited, upon a showing of good cause, to only one trial continuance of less than 15 days. Therefore, you are virtually guaranteed to have your elder client’s trial within five months after your motion is granted. As most of us know, trial continuances and long delays can be devastating for an elder client, especially if your client passes away while waiting for his or her well-deserved day in court. Unless his or her case involves elder abuse claims, your client’s claims for general damages against the responsible party will die with him or her in the vast majority of injury cases. Thus, the old adage: “Justice delayed is justice denied!” is especially true in many elder injury cases. Steven Lipscomb is a partner at Engstrom, Lipscomb and Lack in Los Angeles focusing on products liability, wrongful death, catastrophic personal injury cases, complex business litigation, and class action cases. 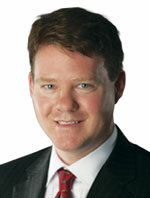 He represents clients in state and federal court and arbitration. Mr. Lipscomb may be reached at (310) 552-3800 or slipscomb@elllaw.com. Copyright © 2018	by the author.